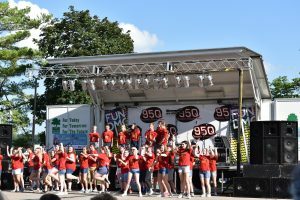 You won’t want to miss the fun this summer, as we bring two musicals to life. 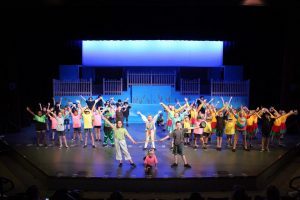 For the 2019 Season Alladin KIDS and Mary Poppins Jr. are coming to the Decatur Park District! In just 5 weeks, actors entering 2nd- 12th grades will experience first-hand what it takes to stage a production, including make-up, costumes, dance, choreography, choral singing, auditioning and performing a musical in a live theatre setting. Each camp is directed by our professional, experienced theatre staff. Doors open at 8:30 a.m. and close at 4:15 p.m. on camp days, all classes are held at the Poage Arts & Recreation Center, 2020 N. Oakland. Registration ends June 14. Note: Fee includes performance tee shirt, script and practice CD. B.O.S.S., Jr. participants must supply show shoes and pants. B.O.S.S., Sr. participants must supply show shoes.